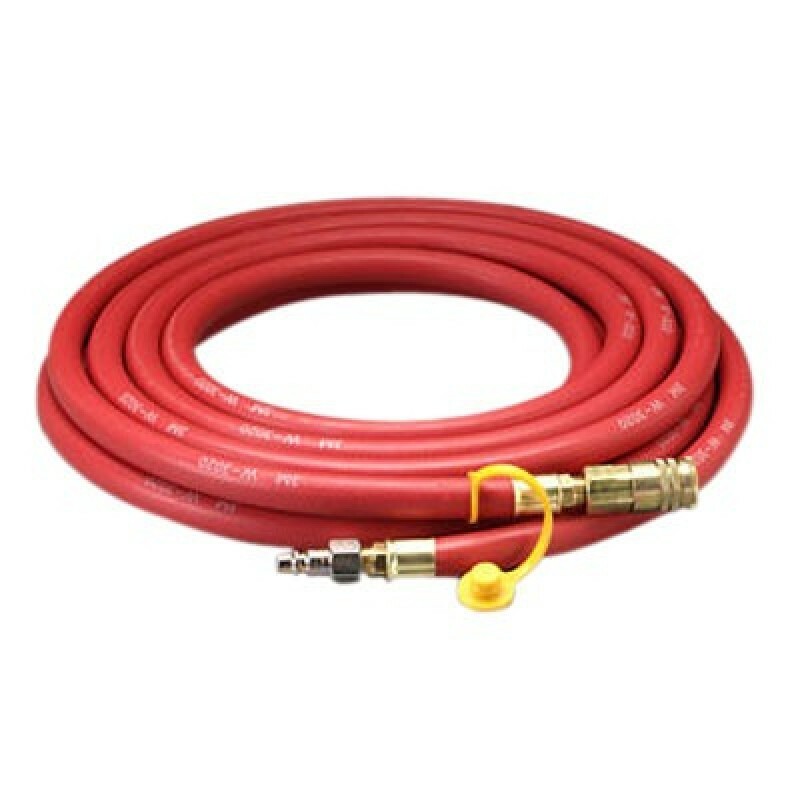 The 3M W3020-25 can be used on 3M Low Pressure Compressed Air Systems. It has a 1/2 inch inner diameter and is equipped with MPT's on both ends to accept 3/8 inch FPT fittings. 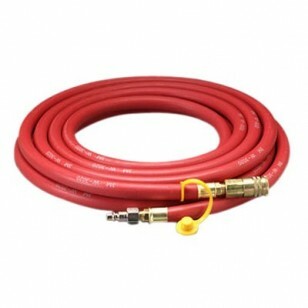 This hose is 25' and can only be used in single lengths. Hoses cannot be combined.